The colors in the Fall Friends Collection are fabulous, and don't even get me started on all of the adorable critter stickers!! The little owl from the Icons Sticker Sheet was irresistible! 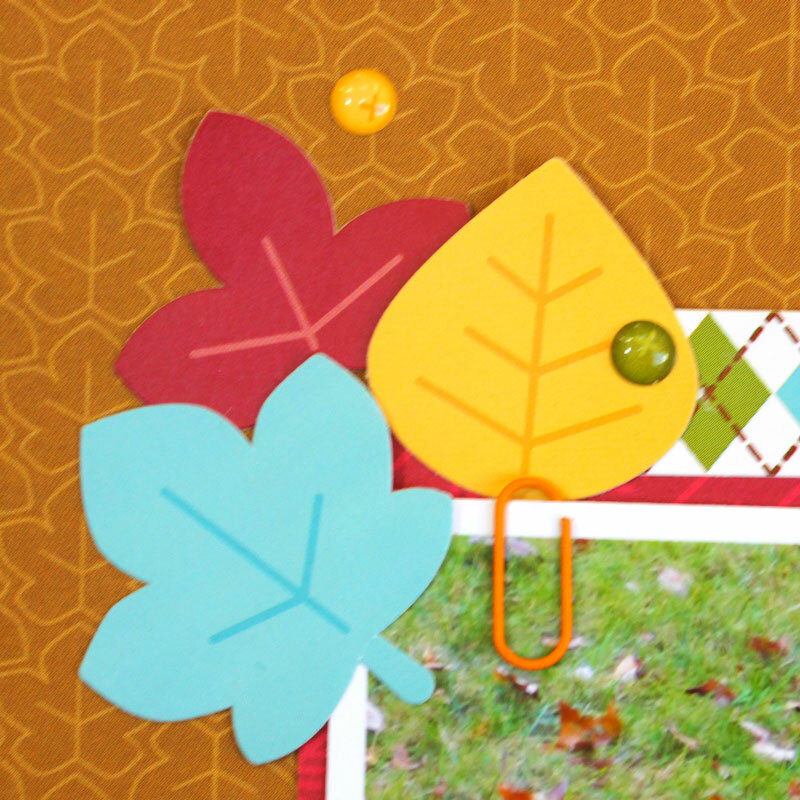 I also love how I can mix and match the leaf and acorn from the Friendly Forest collection! And don't get me started on the shaped Sprinkles! I'm also excited for the touch of swimming pool in the collection... it is my favorite color! That's it for me today, make sure to come back next week for a peek at the October 31st collection!! Thanks for stopping by! What a sweet LO! Love the enamel leaf! Kathy - you WOWed me with your use of this collection - the way you arranged all the wonderful details on your page is so awesome - LOVE that little clip on the pic!!! You always create delightful pages!!!! Adorable photos and layout, Kathy!!! Beautiful LO the pictures are great!!! Gorgeous layout! Love the fun pictures you added too! The little owl is one of my favorite elements! OMG Your LO is Fallabulous!! Your picture are adorable what a cutie pie...and having so much fun and it's all been captured and scrapped what a beautiful way to preserve these oh so precious memories. 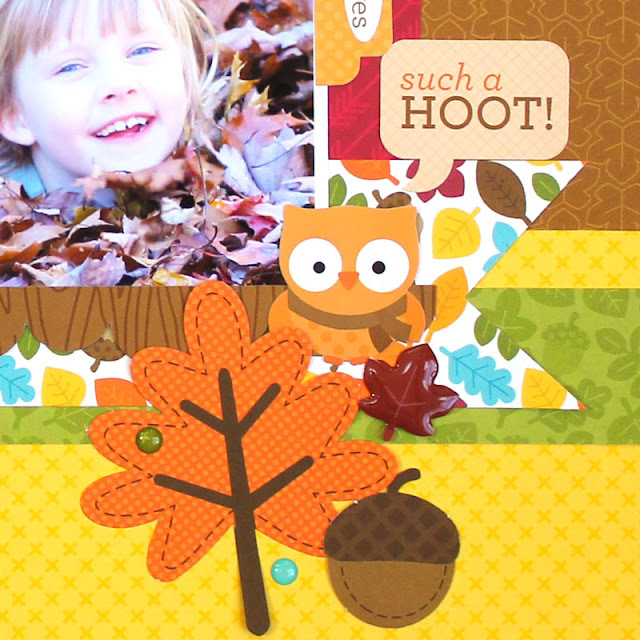 Your embellishing is perfect and the owl is so cute. I too so love the Fall and the beauty of the leaves and walking thru them and hearing the crunch of the leaves. Your LO tells it all. YOU so ROCK!! 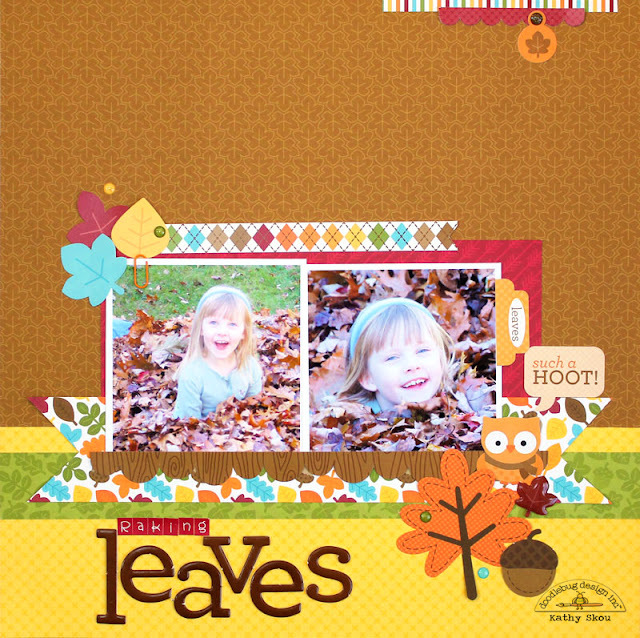 I love this layout, love the colors, love the look on your daughter's face! Such a fun memory!